Beautiful 4 bedroom villa with private pool on the outskirts of Torres Vedras. Just a 25 minute drive from Lisbon in the heart of the Lisbon Coast region offering golf, surfing, tennis, horse-riding, beautiful beaches and scenery. The local restaurants are renowned for the traditional gastronomy and local wines at very reasonable prices. The villa itself is in a new development beside a small village where you will find shops, cafes, restaurants etc. Just a 5 min drive to Campo Real Championship Golf course and within a 30 minute drive to all the Lisbon and other Silver Coast courses. En-suite bathroom with whirlpool bath-tub and vanity unit. Main bathroom with bath-tub with shower and vanity unit, Downstairs bathroom with shower and vanity unit. Kitchen leads onto dining room with seating for up to 8 persons. Dining room has direct access to swimming pool Large living room (36m2) with sofa. Satellite TV. Kitchen cabinets in Beech wood, with black granite work tops and wall lining. Equipped with gas hob, built-in oven and microwave, dishwasher and fridge/freezer. 18 hole championship course at Campo Real. Just 5 mins by car. All other main courses in Lisbon as well as the silvercoast within a 30 minute drive. Outside: Private swimming pool (7.5 x 3.5m). Utility Room: Washing machine. Cleaning / Towels / Linen / Maid service: Towels and bed linen are included. we just wanted to let people know what a great place you have, we have just come back from spending a week at your property and it was amazing, so much room, clean and fresh with plenty of room for everyone. The village where your property is welcomed us especially the lady in the cafe, we would highly recommend your property time and time again and we look forward to staying here again the next time we come over. Thank you for letting us have the opportunity to stay at your property, we really wasn't expecting such a great home to stay at. Hi Mario, so glad you enjoyed your stay. You are very welcome back anytime. The pool was lovely and the location great to explore the area. A lovely holiday. Thanks for nice review Anne. Am so glad you all enjoyed your stay and hope to have back again. This villa is the perfect place for either a relaxing holiday or a fun packed holiday. We had both!! The apartment is extremely spacious, clean and has everything you could think of included in it. The 3 kids loved the pool and spent everyday in it. The neighbours were so friendly and went out of their way to help us. If you want to go exploring then a car is needed, however driving is a breeze and certainly worth while. The locals were very friendly and overall we couldn't have wished for a better holiday. We will definitely return next year. Hi Clare and Ron, thank you so much for the lovely review you posted. I am so glad you enjoyed your stay at the villa and you are welcome back any time. thanks very much Aedin for the lovely comments. You are welcome back at any time. Maison agréable parfait pour des familles avec enfants,bien située(30/40min ) de Lisbonne.Paul est une personne très gentille et qui répond rapidement aux messages. 15 min drive to local beaches at Santa Cruz. These beaches are famous for there kilometres of golden sandy beaches as well as great waves for surfing. During the summer months there are various sporting events both in the water as well as on the beaches. The night life in Santa Cruz during the summer months is very lively. 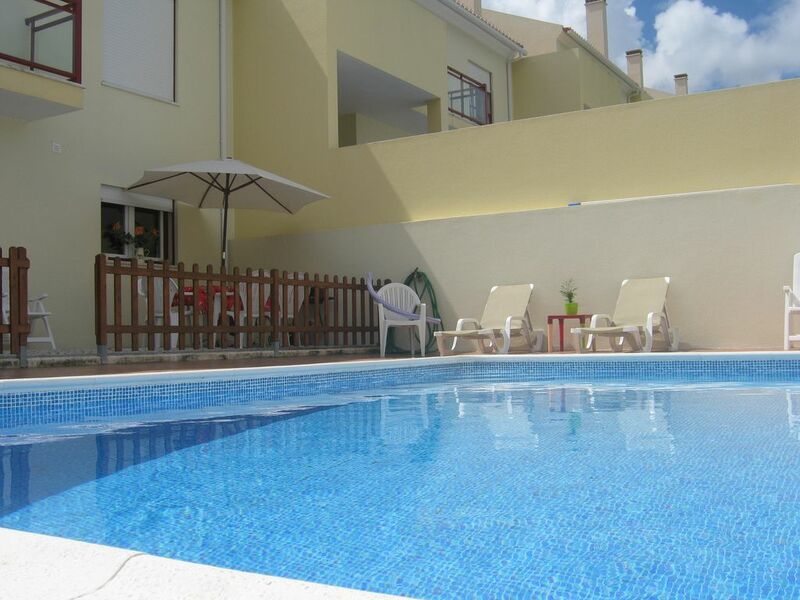 Villa is situated 25 mins from Lisbon international airport. Situated beside a local rural village it is a 10 min drive to the market town of Torres Vedras where you will find a shopping complex with 7 cinemas as well as various regional restaurants and a good night life. Booking Notes: A non refundable deposit of 20% is required with booking. Remaining amount is due 6 weeks before occupancy. Notes on prices: Prices are for the property per week in euros.